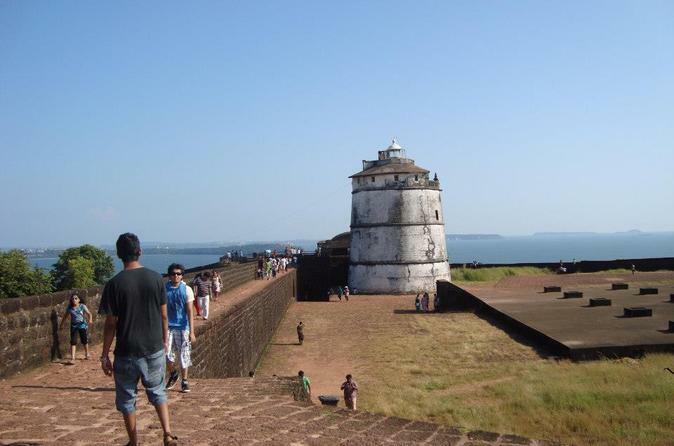 This day tour of hill cycling will take you around the Ramparts and Bastion of Fort Aguada near Candolim in North Goa. 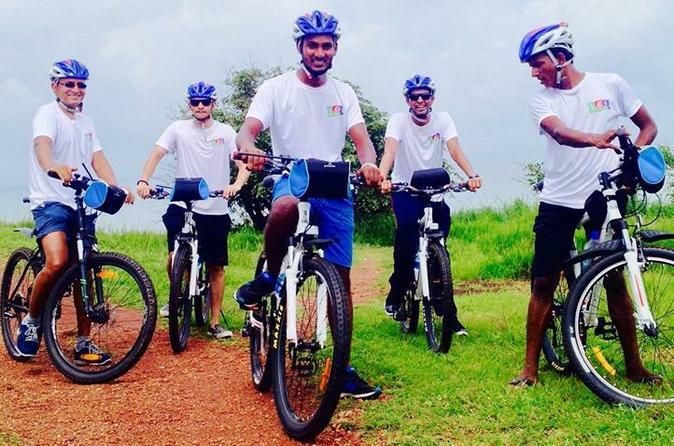 It will be a relaxing cycling adventure along fishing villages, cliffs, rivers and seaside areas surrounding the prime tourist belt of Candolim, Sinquirim and Nerul in North Goa. 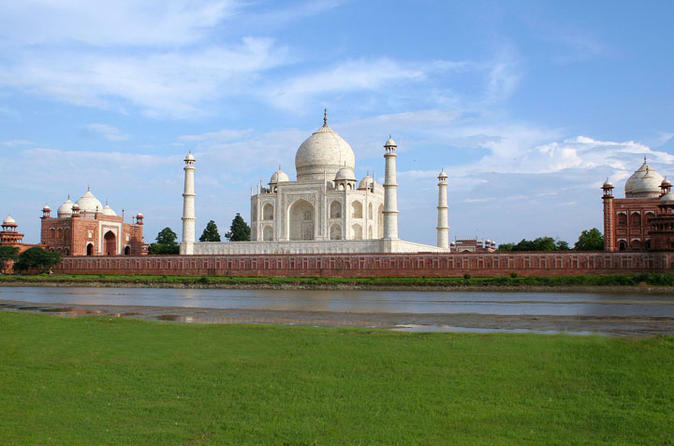 A trip to India is considered incomplete without visiting the spectacular monument that lies in Agra, the Taj Mahal, one of the Seven Wonders of the World. This tour is specially designed for tourists who arrive to enjoy the fascinating beaches of Goa for several weeks, so that these tourists can also have the opportunity to make a pilgrimage to the Taj Mahal and visit other attractions in Delhi and Agra like Agra Fort (a UNESCO World Heritage Site) and Mehtab Bagh (Moonlight Garden). In Delhi, you will have the chance to visit the 11th Century Qutub Minar (a UNESCO World Heritage Site) built by Qutub-ud-din Aibek of the Slave Dynasty; Humayun's Tomb (a UNESCO World Heritage Site), an early example of Mughal architecture; the Bahai Temple, also known as the Lotus Temple; and India Gate, a war memorial. You will also drive by the Parliament House, the President's Palace and Secretariat buildings. There is a famous saying among the party and beach lovers in India - "When you gotta goa, you gotta GOA!" 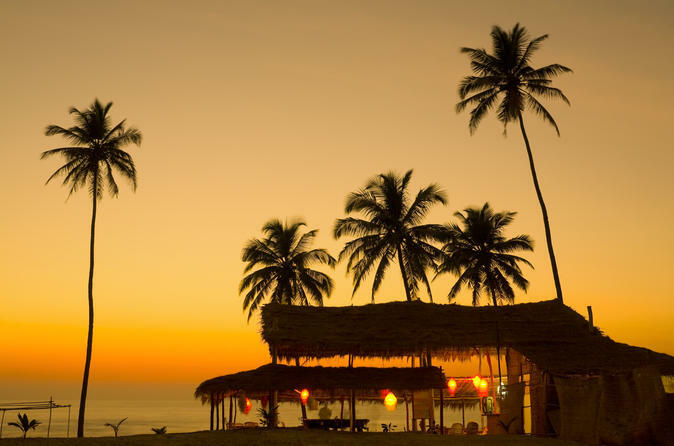 Book this 3-night luxury vacation in Goa to and you will be welcomed to the "Miami of India"! Swaying palms, white sands and sparkling waters; all these together with an amazing party loving crowd, make Goa one of the most happening tourist destination of India. In 2010, there were more than 2 million tourists reported to have visited Goa, about 1.2 million of whom were from abroad. Goa also stands 6th in Top 10 Nightlife cities in the world as per National Geographic. 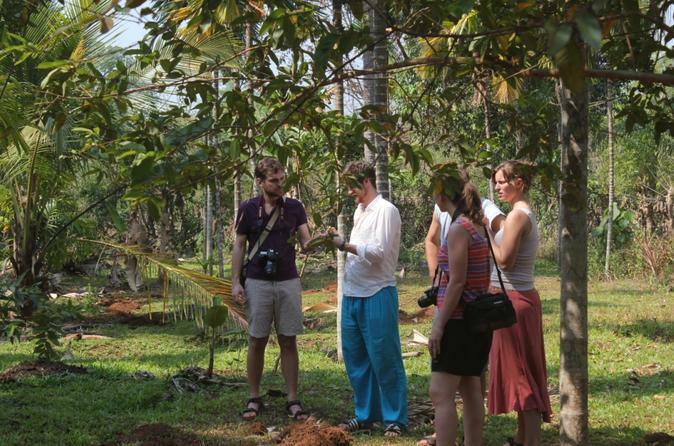 Experience Goa’s traditional form of farming and discover a vast variety of spices, medicinal herbs and tropical fruits. Cinnamon, Pepper, Chillies and Nutmeg, tropical trees like Cashew, Coconut, Arecanut and Teak thrive all over this 100% organic plantation. On the informative walk around the plantation you will hear about various spices, medicinal plants and their uses. You will also gain insights into organic agriculture, bio gas production and cashew fenni distillation. At the end of the guided tour you have the opportunity to pick up some local products before relishing home-cooked Goan food. Bring home a fresh catch on this deep-sea fishing trip in Goa, great for fishing enthusiasts and beginners alike. 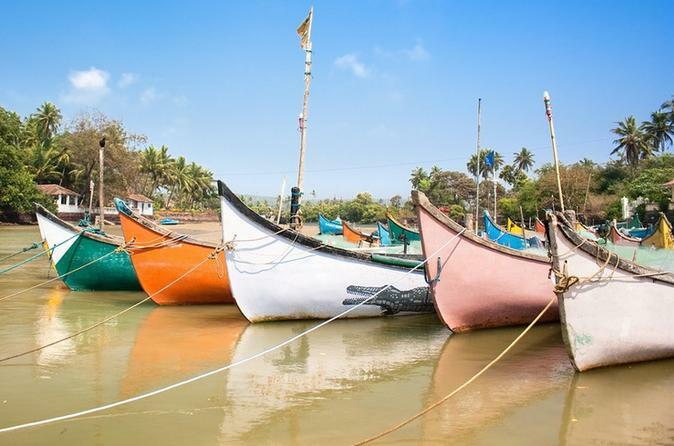 With your expert local guide, board a large, covered canoe on a beach in Goa and spend 3-4 hours fishing, relaxing and enjoying complimentary snacks and drinks. All equipment and tackle are included, as well as hotel pickup and drop-off. If you catch something, you can take it to a nearby restaurant and have it cooked for you! Take a private tour of Goa, a state in western India with coastlines stretching along the Arabian Sea. Its long history as a Portuguese colony prior to 1961 is evident in its preserved 16th-century churches and the area’s tropical spice plantations. Goa is also known for its beaches, ranging from popular stretches at Baga and Palolem to laid-back fishing villages such as Agonda. 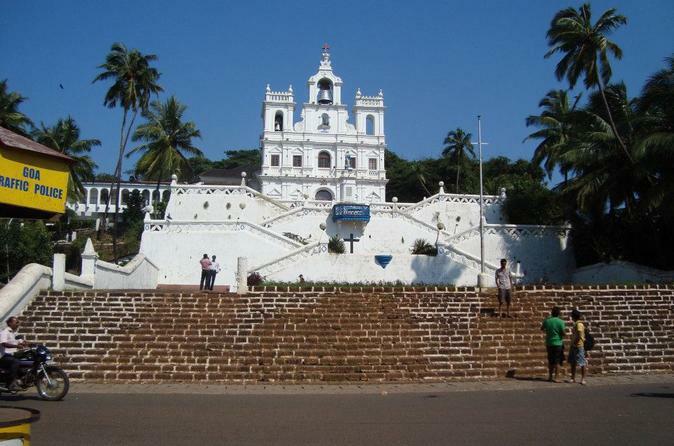 In the tour, cover Old Goa Churches, Mangueshi Temple, Spice Plantation, Portuguese Latin Quarters, Shanta Durga Temple, Miramar Beach, Dona Paula with lunch at Spice Plantation. 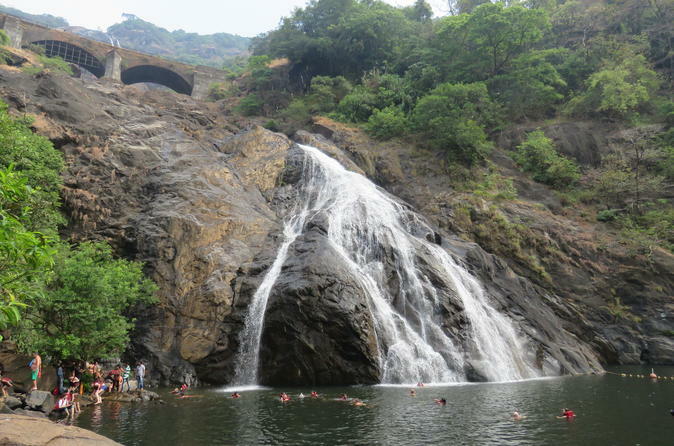 Explore Dudhsagar Falls, a four-tiered waterfall located on the Mandovi River, with this 8-hour private tour from Goa. Dudhsagar Falls are among India's tallest waterfalls, with a height of 310 meters (1017 feet) and an average width of 30 meters (100 feet). Travel the falls via Forest Department Jeep and visit a spice plantation afterward. Take a full day private tour to Old Goa - Pornnem Goem, Adlem Goa, Goeam or Velha Goa. Enjoy the insight of your guide as you visit Fort Aguada, Reis Magos, Calangute Beach and Anjuna Beach.